The SDI/TDI/PADI Divemaster Course, is the first professional level in Recreational Diving. For all of the Divemaster Candidates, is this the most interesting and fun course of their diving career. The Dive Master course itself is relaxed and run over 3 to 6 weeks. Combining, water skills with theory sessions where you will learn all the knowledge to be a Dive Leader. 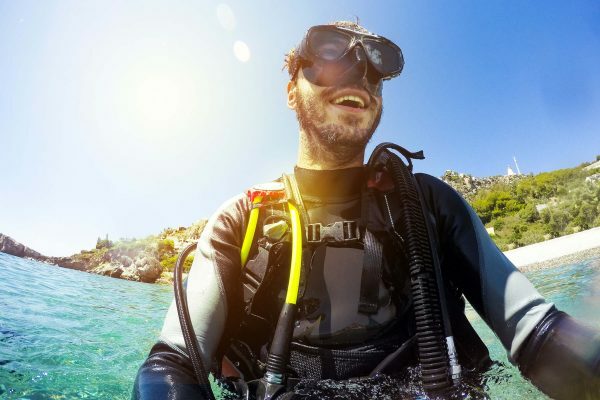 Once certified as a dive master your employment options are limitless. From busy tourist areas to remote islands and local dive clubs. As a SDI/TDI/PADI Divemaster you will be qualified to work directly with certified divers. Guiding underwater tours, running dive boats and handling dive shop logistics. You will also be able to update divers (Scuba Review) who haven’t dived in a while and assist instructors working with divers in training. This amazing career gives you the chance to meet people from all around the world while getting paid to do what you love, Diving! The basic SDI/TDI/PADI Dive Master course costs 30,000THB + 6500THB for educational materials. We also offer Dive Master internships that include all training from Open Water diver to Divemaster along with all materials (excl. Divemaster Manuals and Fees) and a full set of equipment. If you are already a certified diver we can subtract the price of any courses completed so far from the internship cost. Please use our Download link for full information on Dive Master training Chang Diving Center Koh Chang.